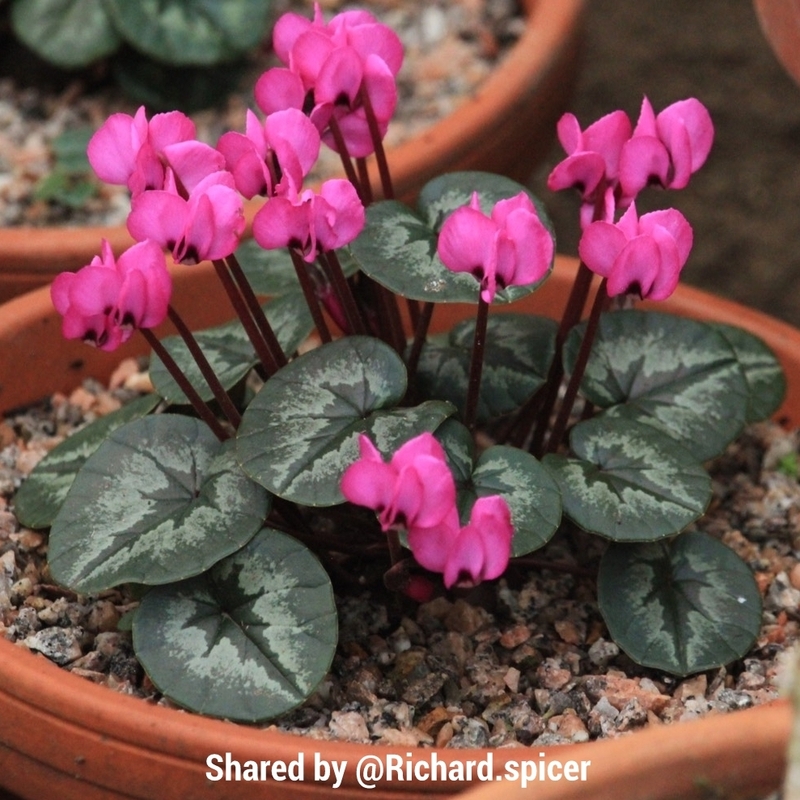 Cyclamen are tuberous perennial plants with rounded or heart shaped, often variegated leaves in greens and silver. 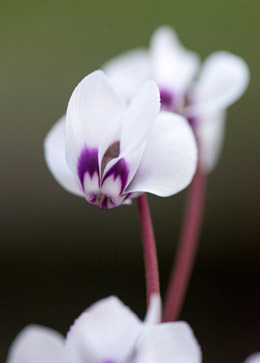 The flowers have reflexed petals and come in various colours. 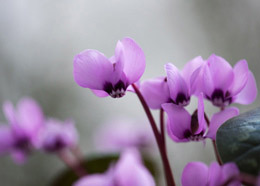 They can be in bloom at any time of year, depending on the species, but most flower in Autumn or Winter. 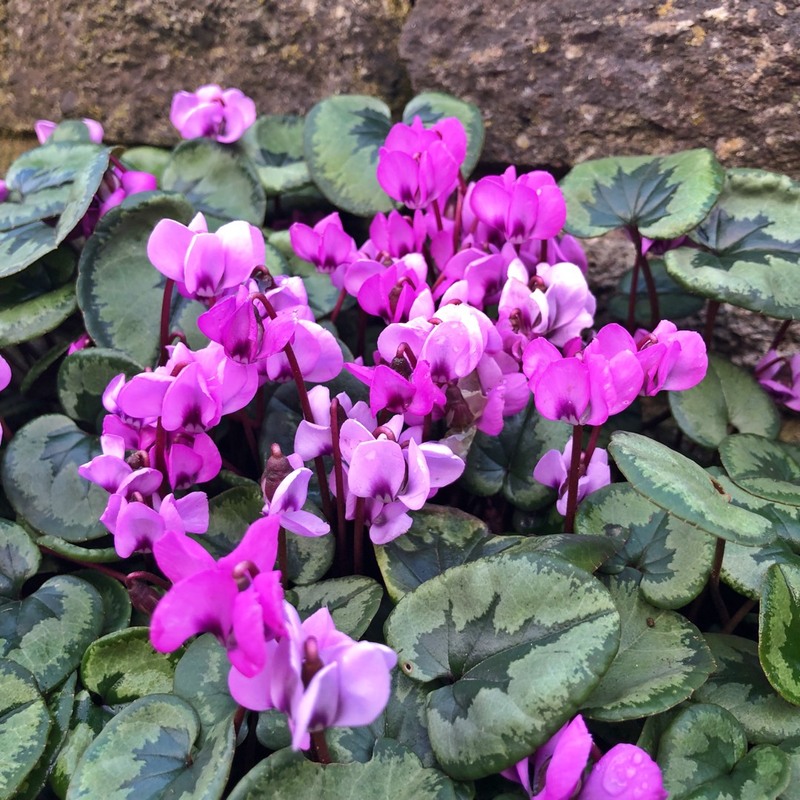 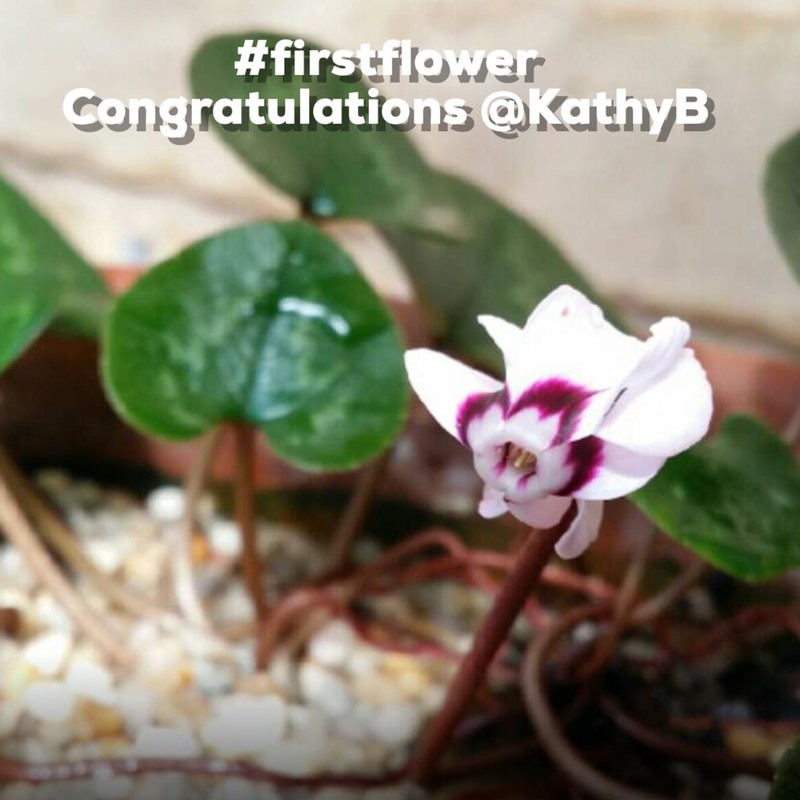 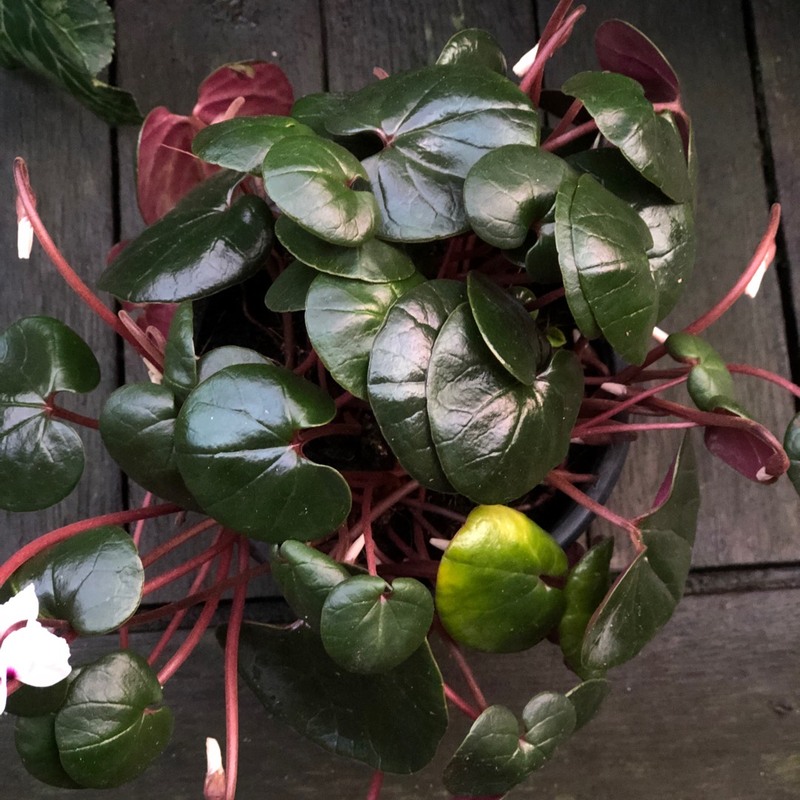 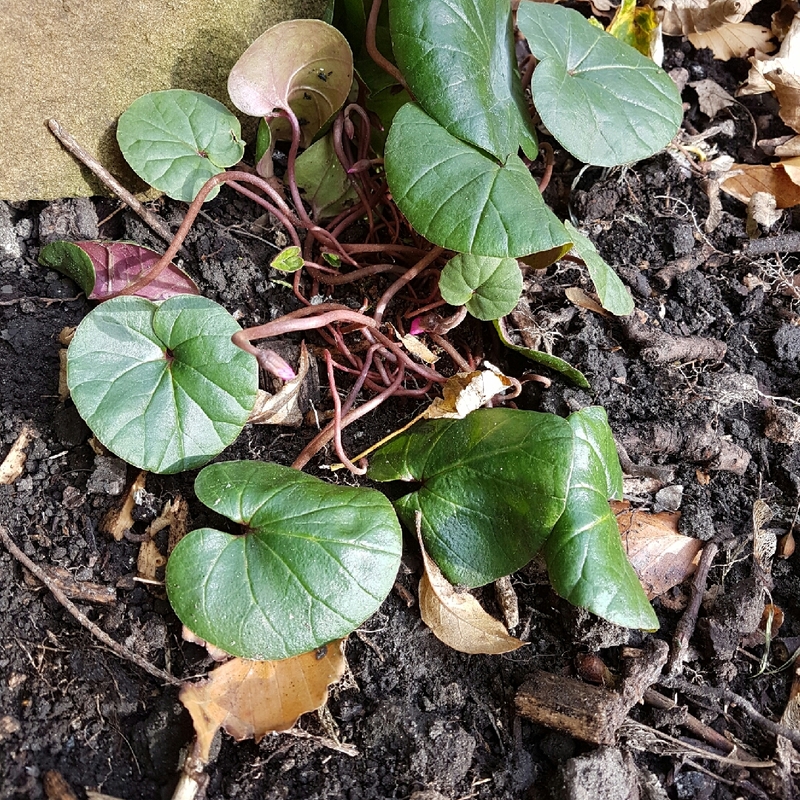 Cyclamen are popular as indoor plants, but need to be kept in fairly cool conditions in a daytime temperature, not exceeding 20C and a night-time temperature of about 10C. 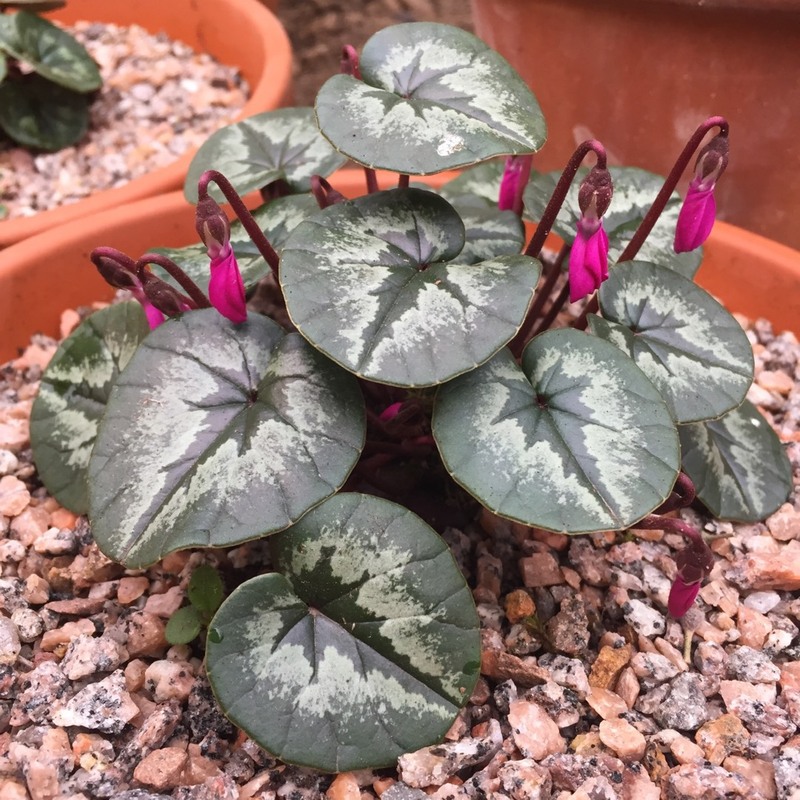 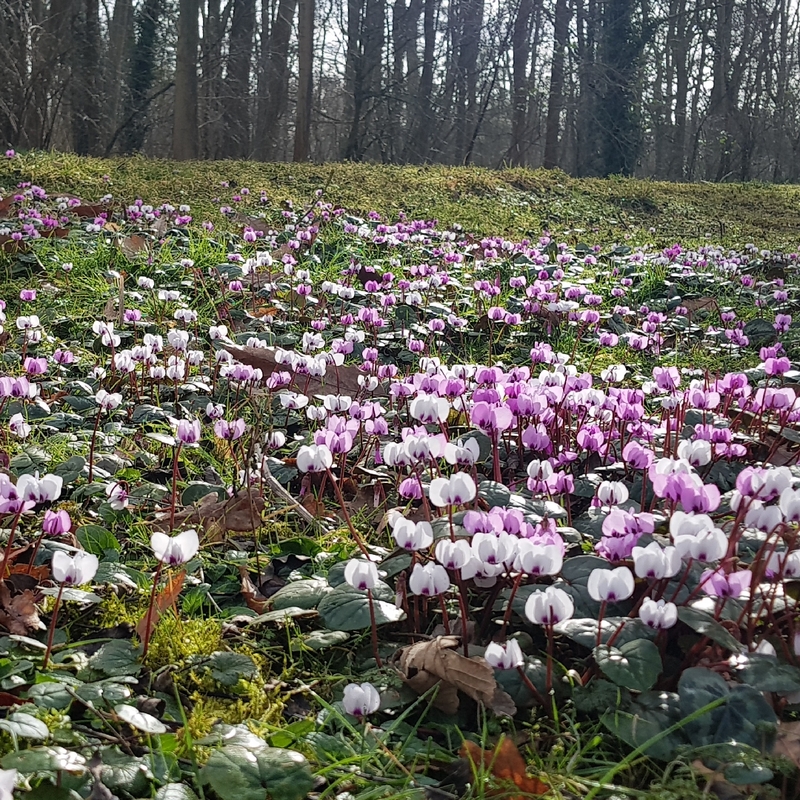 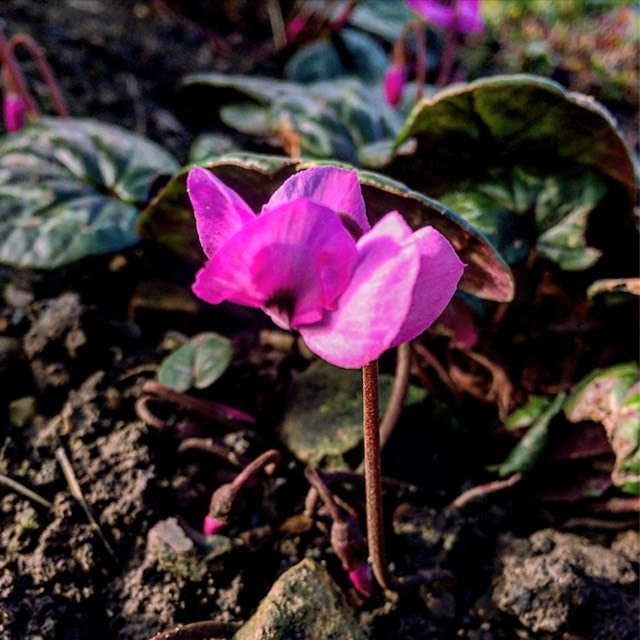 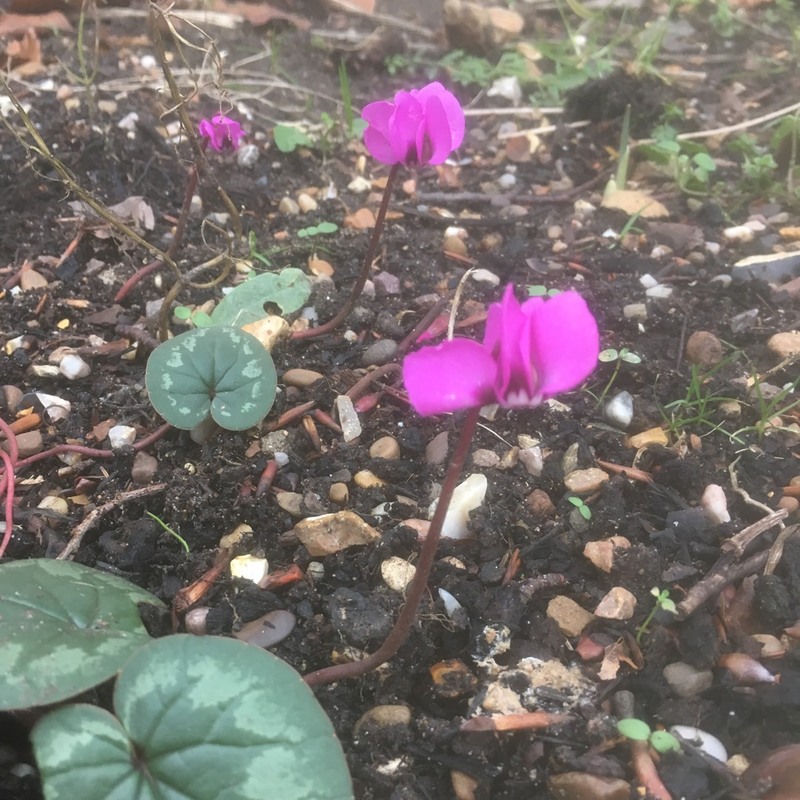 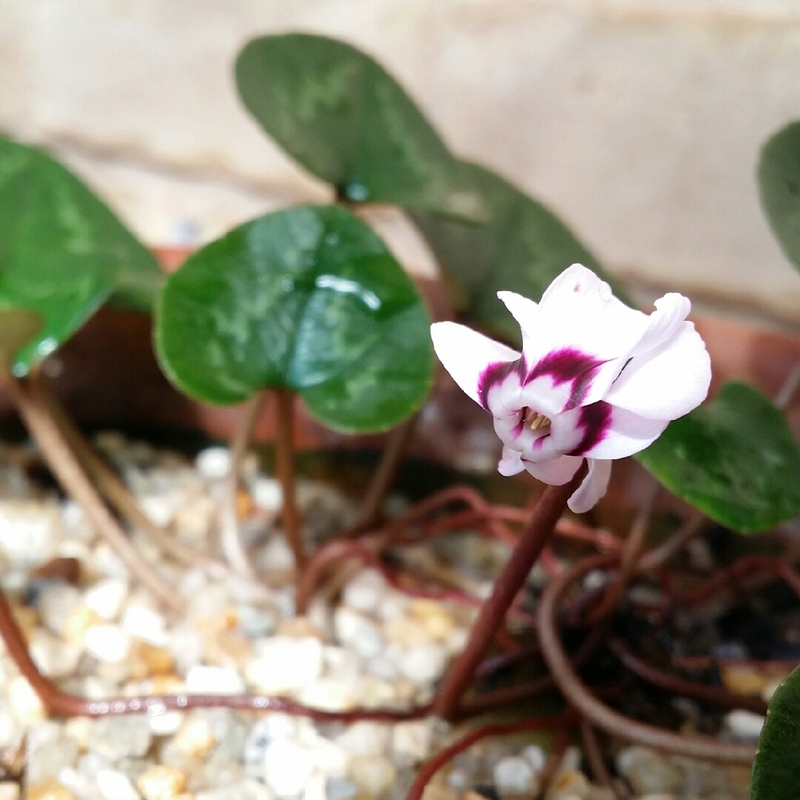 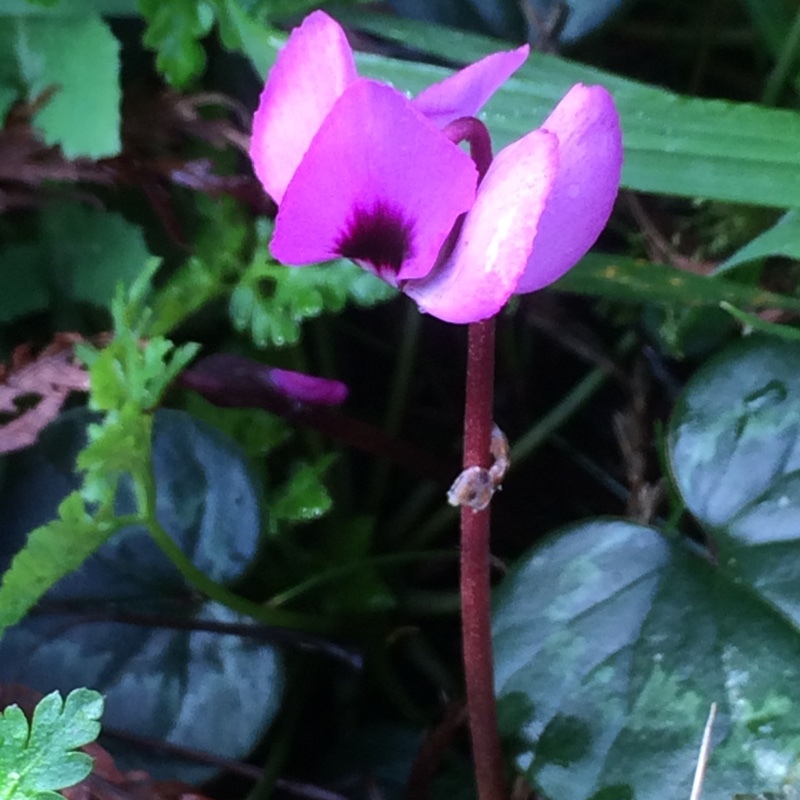 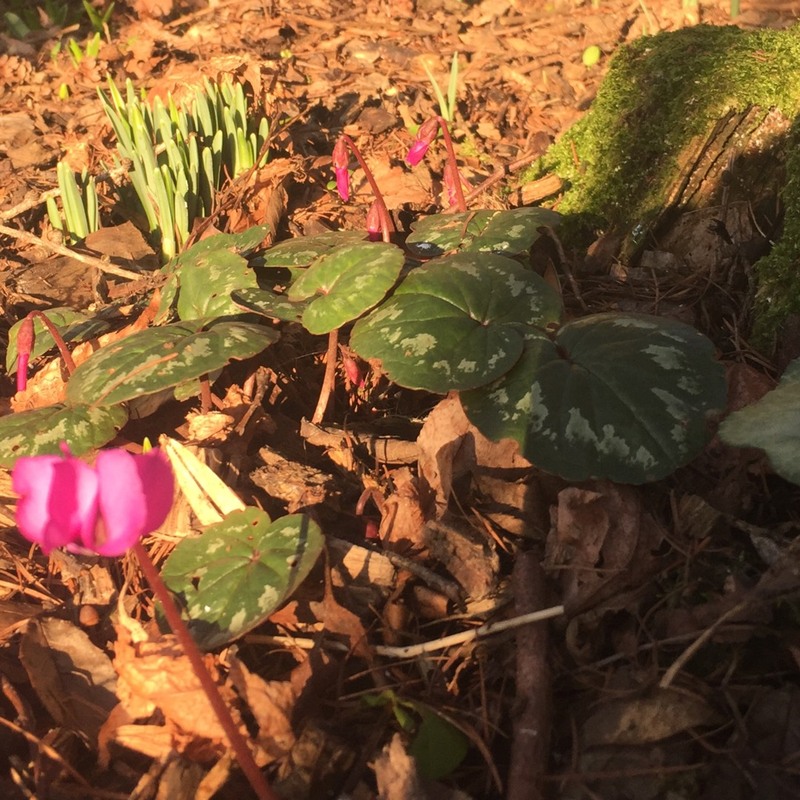 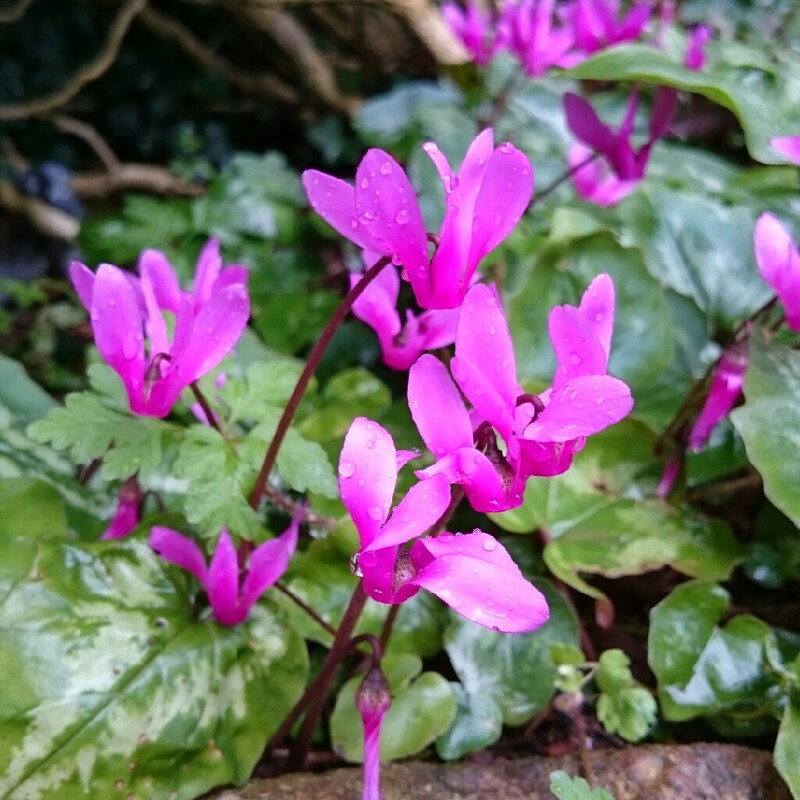 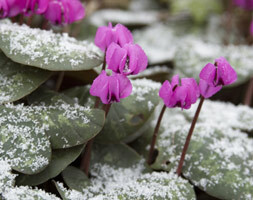 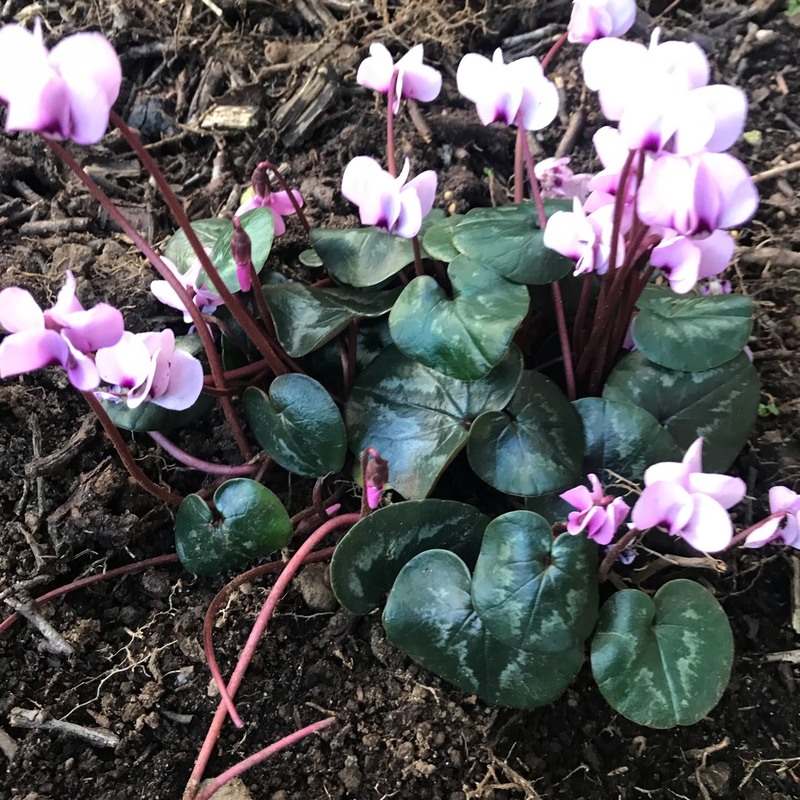 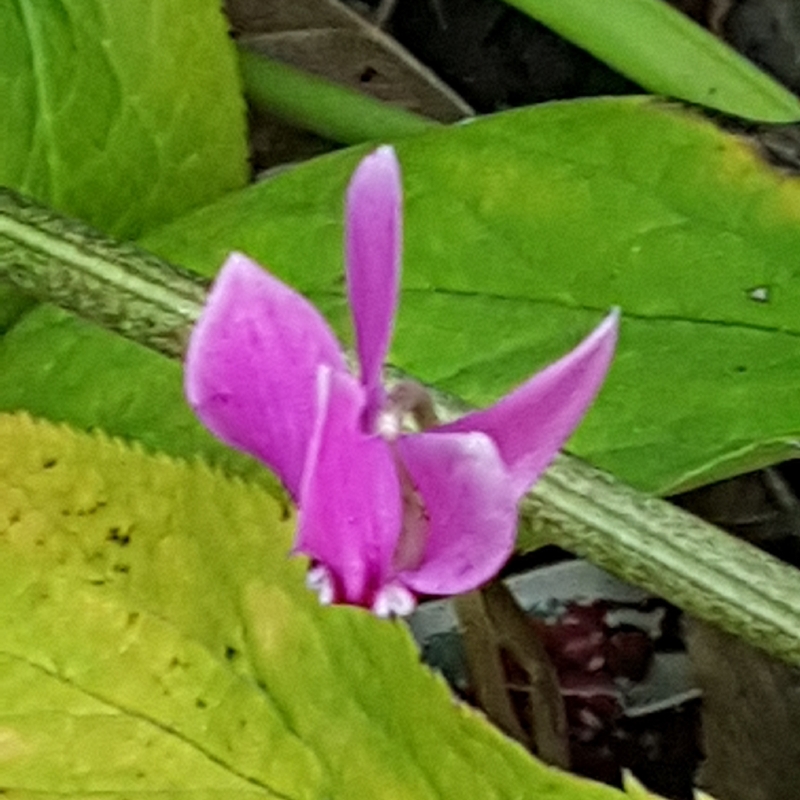 Cyclamen Coum is a late Winter flowering variety, growing to 10 cms. 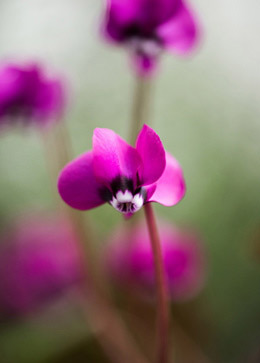 The flowers, 2 cms. 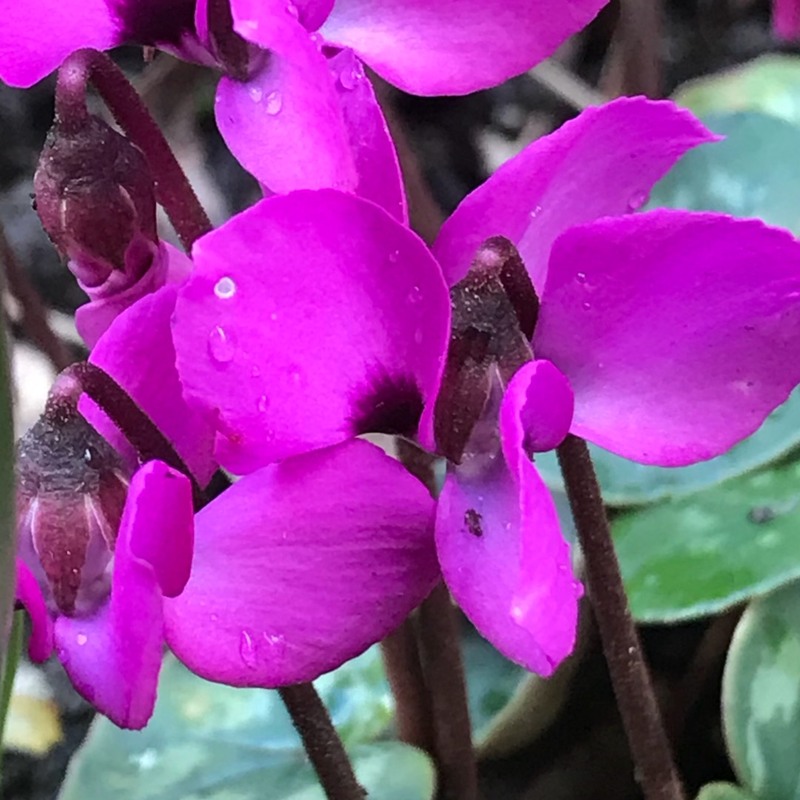 wide, are deep pink with a purple "nose"